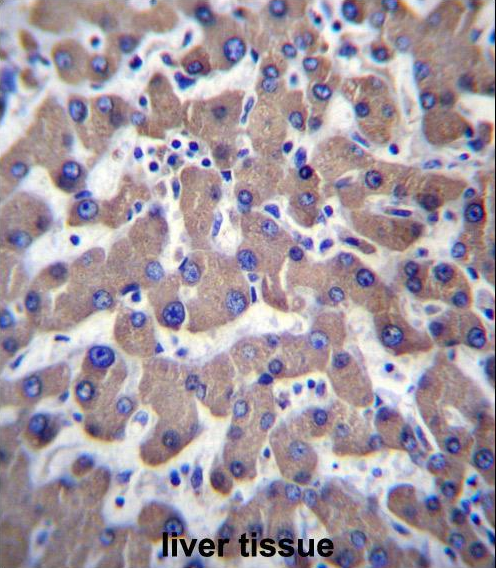 TMM70 Antibody (C-term) (AP54292PU-N)immunohistochemistry analysis in formalin fixed and paraffin embedded human liver tissue followed by peroxidase conjugation of the secondary antibody and DAB staining. 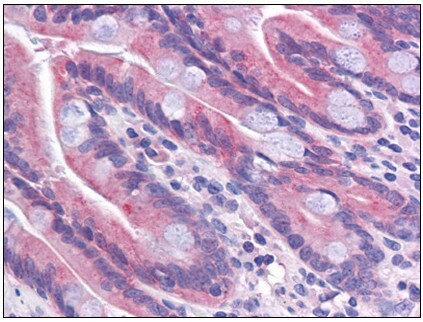 This data demonstrates the use of TMM70 Antibody (C-term) for immunohistochemistry. Clinical relevance has not been evaluated. TMM70 Antibody (C-term) (AP54292PU-N) western blot analysis in HL-60 cell line lysates (35 µg/lane). This demonstrates the TMM70 antibody detected the TMM70 protein (arrow). 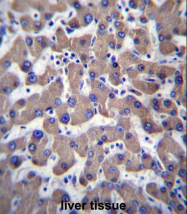 Western blot analysis of TMEM70 in human liver tissue lysate with TMEM70 antibody at 1 ug/mL. 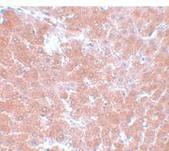 Immunohistochemistry of TMEM70 in rat liver tissue with TMEM70 antibody at 5 ug/mL. 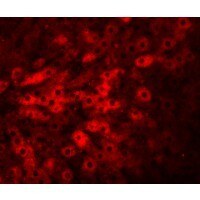 Immunofluorescence of TMEM70 in rat liver tissue with TMEM70 antibody at 20 ug/mL.